Mann's first theatrical feature, Thief is the Rosetta Stone that deciphers the majority of the filmmaker's work. Frank, is the first of a long line of criminals Mann imbues with a code of honor. 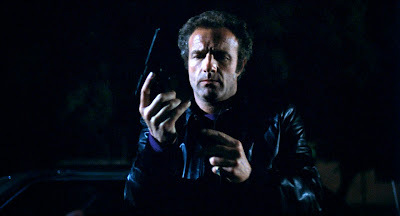 We see a bit of Frank in Crime Story's Ray Luca (Anthony Denison), Heat's Neal McCauley (Robert De Niro), Collateral's Vincent (Tom Cruise), Public Enemies' John Dillinger (Johnny Depp), and even Miami Vice's Isabella (Gong Li), professionals who pride themselves in plying their trade with detachment who discover that it's not so easy to eschew the relationships that make them so very human. Thief presents Frank as the ultimate individualist, a capitalist who lost 11 prime years of his life to the correctional system after one minor infraction led to imprisonment and a chain of events that piled on more years than he had originally been remanded for. 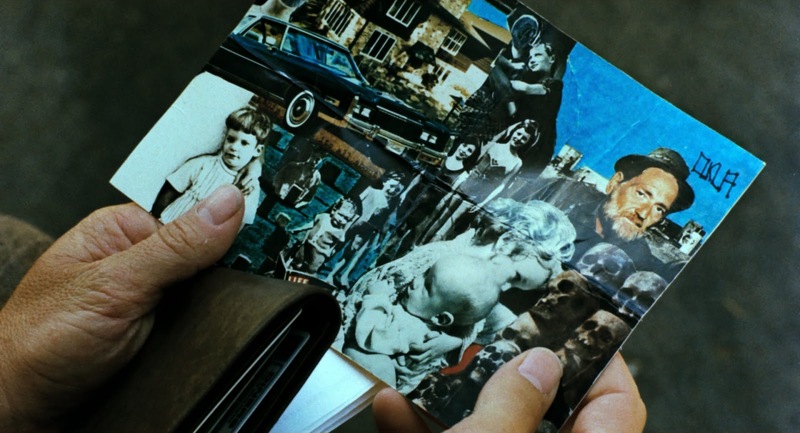 He is a lonely, tragic figure who dreams of a future that includes a wife, a child, financial security, and even room for the man who was a surrogate father to him, Okla, all faithfully represented in a folded collage he carries in his wallet. In the 4 years since he was released, Frank has established a used car business, bought a bar, and subsidized all of it with his increasingly risky burglaries. With little time left to realize his dream, he pleads with another damaged soul, waitress Jessie (Tuesday Weld), to start a family with him. Her inability to have children, Okla's desire to be released after a terminal diagnosis and Frank's own advancing age seem to conspire to instill a desperation in him that runs counter to the stripped down, incorruptible shell he posits one must become in order to survive outside of anyone's influence. In comes Leo (Robert Prosky), a fence who proposes a relationship with Frank that seems too good to be true. Bankroll, benefactor, congenial father figure, Leo will be all of these to Frank if he only breaks into two or three vaults for him and shares the loot. Leo even brokers the sale of a baby to Frank and his wife once it becomes clear that they can't conceive or hope to adopt given Frank's time in prison. But once Frank tries to pull out, it becomes clear Leo has no intention of honoring their deal. The straightforward, sparely plotted Thief is awash in the style that now characterizes Mann's oeuvre. 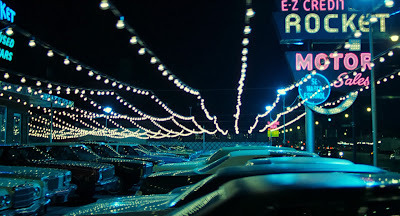 Neon lights bathe the wet, reflective Chicago streets, made to look like a blue-green rat's maze that serves as a formal counterbalance to Collateral's sodium orange Los Angeles. Mann uses Tangerine Dream's synthesized score, a character in its own right, to reinforce the idea that Frank is like a mouse forced into the labyrinth, going through the mechanical motions necessary to survive the obstacles put in front of him. 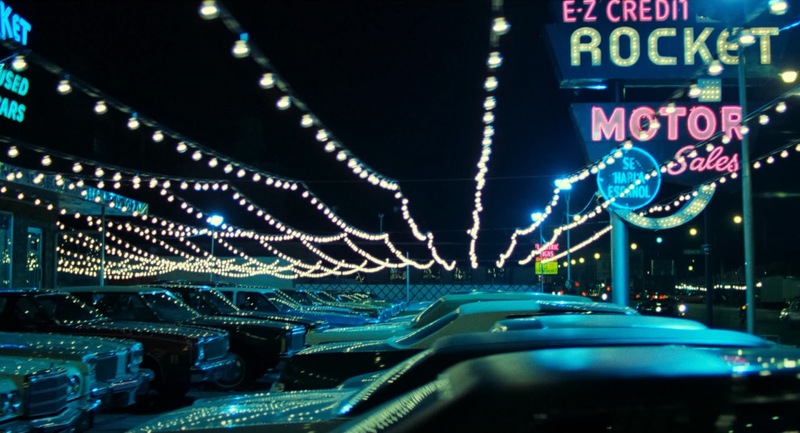 When Mann invokes diegetic music, like Mighty Joe Young's "Turning Point" near the end of the movie's opening act, he marries its rhythm to the images onscreen, at times even allowing the music outside of its source location in order to lay it over a particularly evocative image, in this case, Frank's car, much like Crockett's Ferrari Daytona was propelled by Phil Collins' "In the Air Tonight" in Mann's TV version of Miami Vice. Though it obviously owes a lot of its aesthetic to Thief, this is not as shallow a stylistic exercise as 2011's Drive, where we simply had to take the skills of Ryan Gosling's Driver at the film's word since no true insight was given into the man's skill set. In Thief, process reveals character. We are shown the tools Frank uses in his robberies and how they work. 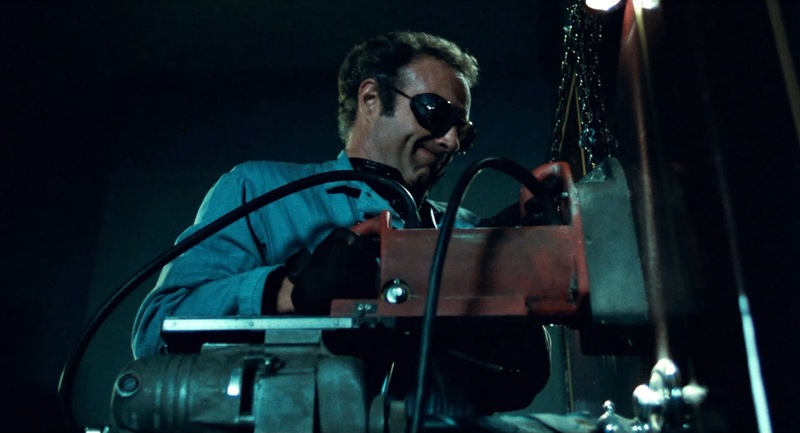 Through the exact, efficient manner Frank employs in breaking into nearly impregnable vaults, we learn to understand how methodical he is as a person. Frank's striped business suits serve as a constant reminder that he's an institutionalized ex-convict at heart. Where Drive awkwardly imposed needless pauses on the dialogue spoken by its characters, Frank's Runyonesque manner of expressing himself, the absence of contractions in his speech, indicate the direct precision of a jailbird who strives to avoid repeating himself. Thief's formal contrivances are integral to the story. I've been asked fairly often to list what I consider to be the best films ever made, and Bernardo Bertolucci's The Conformist (Il conformista) always sits at the very top of the list. But no one has ever asked me a very different question, what is my favorite film? It's Mann's Thief. That's funny, because the former is a movie about a man who longs to blend in and be part of the ruling collective, while the latter is about a man who is constantly trying to maintain his independence against the seemingly insurmountable "system." 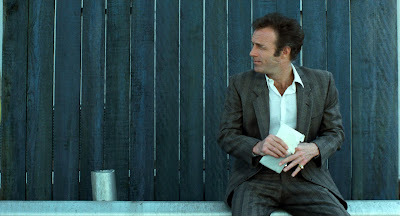 Frank is arguably the most iconic performance of Caan's storied career, and as of today you can sample it for yourself on a Criterion Collection Blu-ray that sports a gorgeous, 4K digital transfer of the director's cut (featuring blues artist Willie Dixon in a short scene after the first heist sequence that wasn't in the theatrical release). As lean and wily a movie as its title character, Thief is more than worthy of your consideration. Okay that's it I'm watching this, been meaning to for YEARS!